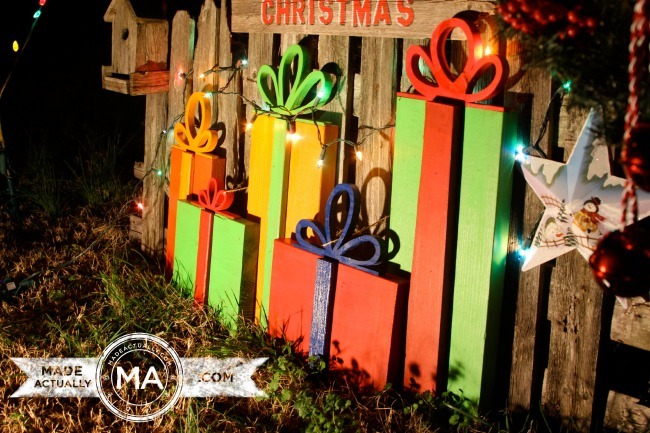 Found wood, and a little paint make for a cheery and one of a kind Christmas Yard Art display. 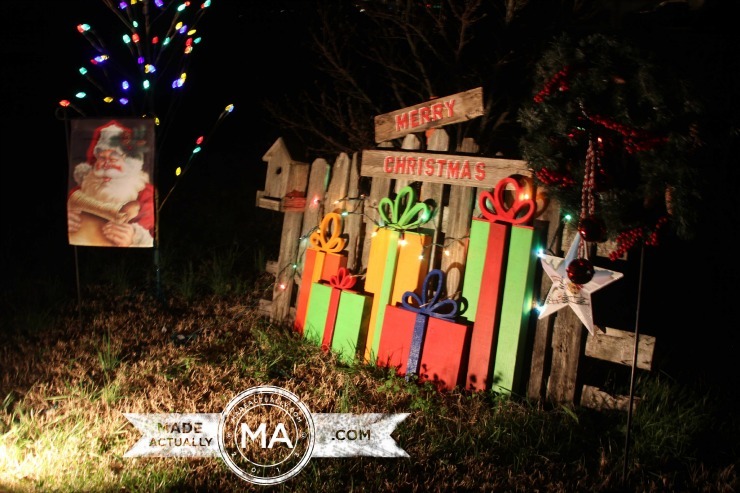 Add a string of twinkle lights, and/or a spotlight and you have a stunning display. The structure I used as the background, was actually the back of a bench my dad made years ago but the seat and legs had fallen apart. If you use your imagination, you could come up with a suitable background too. If you see an old crib that’s up for grabs, parts and pieces of it would be suitable as would a headboard or door. You just have to look at things through a different lens to see the possibilities. 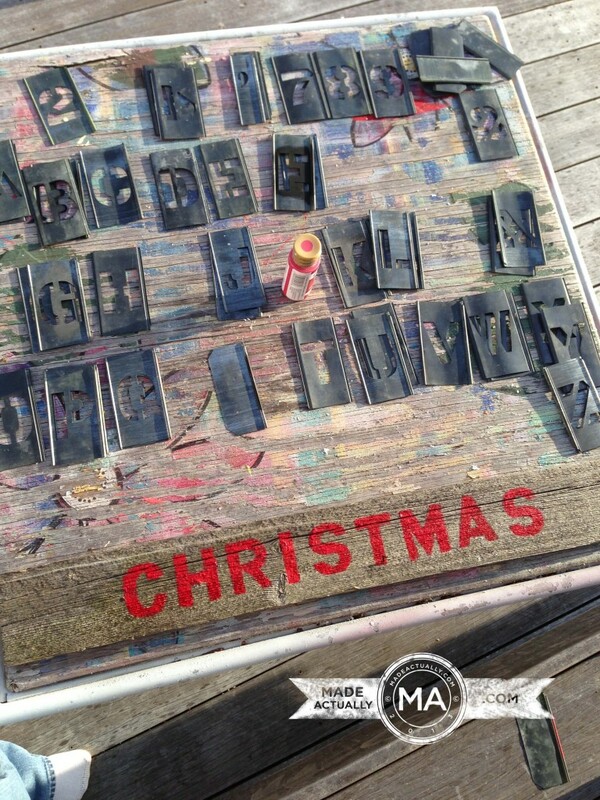 Random lengths of scrap wood were cut and painted. 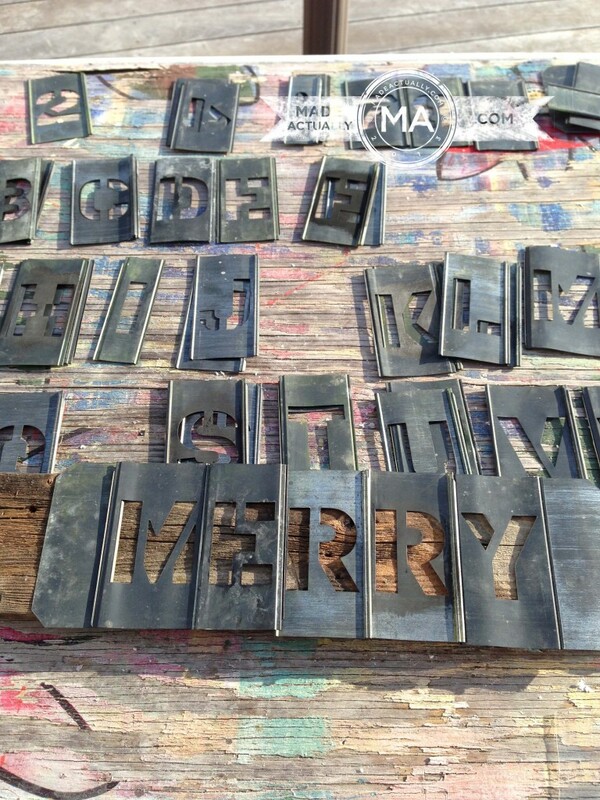 You could always have pieces cut for you at the home improvement store. The oops section in the paint department is a great place to find inexpensive paint. 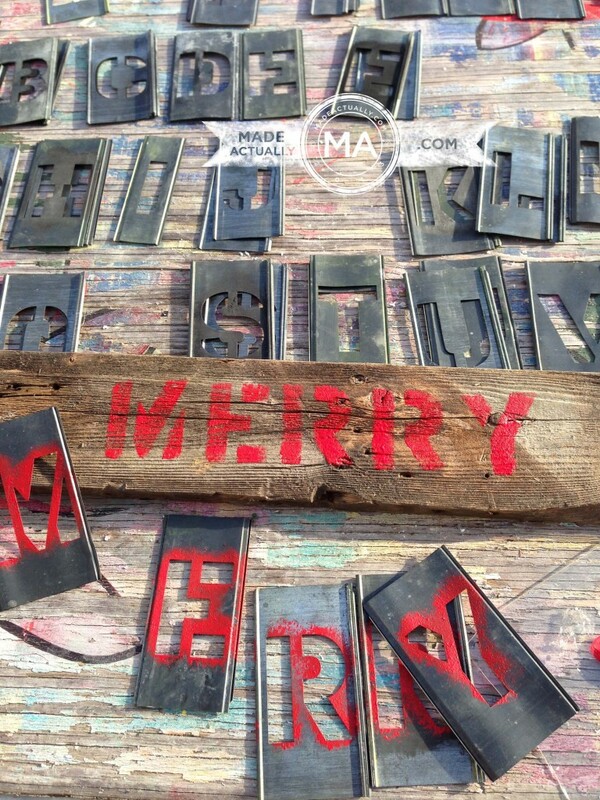 An antique set of sign painters stencils were used on some old wood to create Merry Christmas. 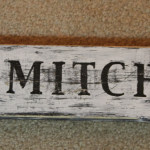 There are numerous tutorials on how to transfer words to wood, so don’t let it stop you. 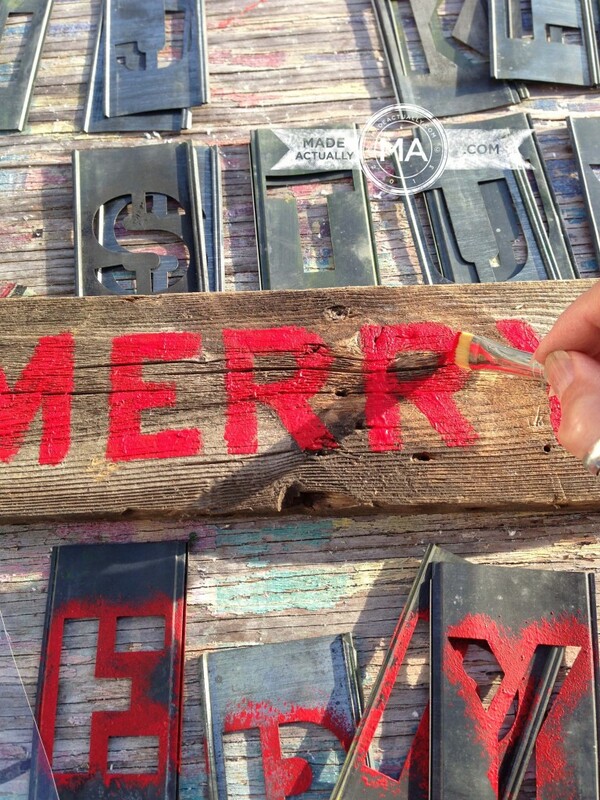 I wanted the letters closed in instead of looking like stencils, so I closed in each letter with a brush. 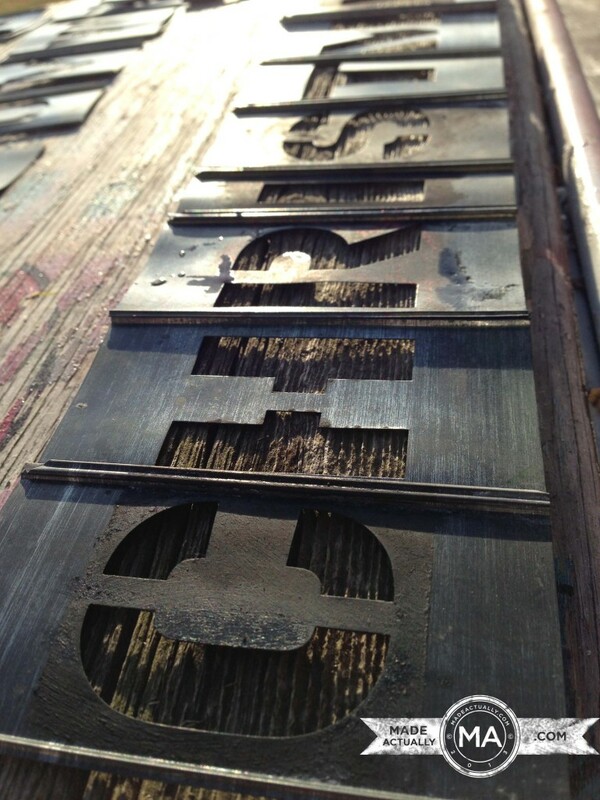 The metal stencils are pretty neat because they interlock with each other. 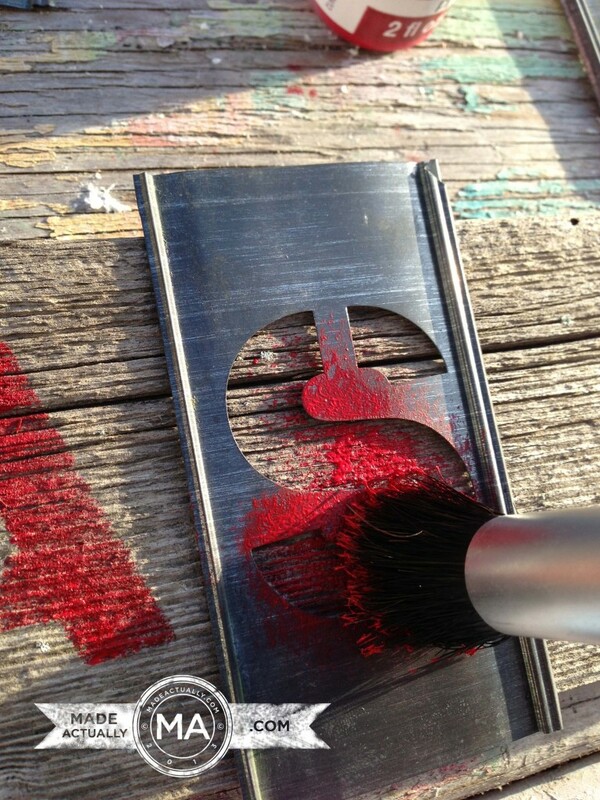 It’s better to use a stipple brush (or sponge) when painting in the letters, so you don’t get paint running under the stencil. For the highlights and shadows on the letters, I used a paint pen. The bows are wood also, cut out with a scroll saw. I chose to have the display lean a bit so it will have more stability. 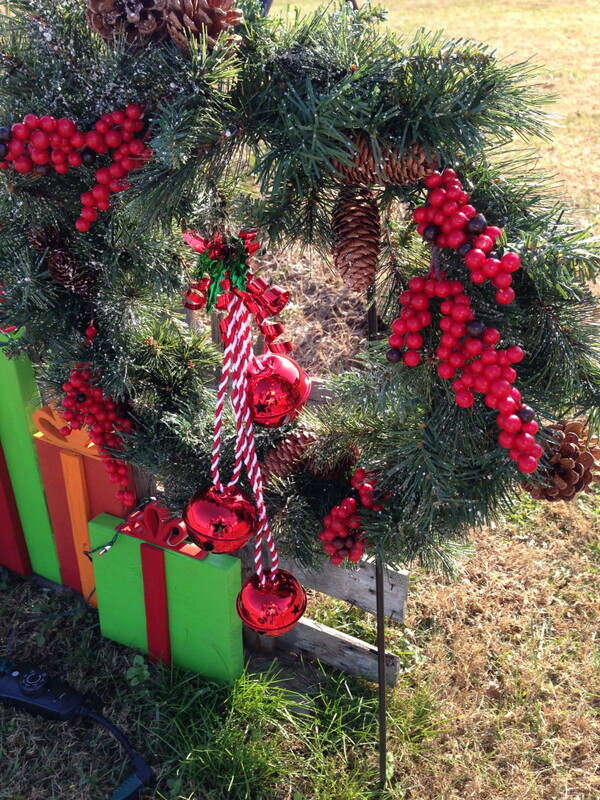 I also tie the gifts on with jute wrapped around the wooden ribbons and then tied to the vertical slats behind it. Seems to work well. 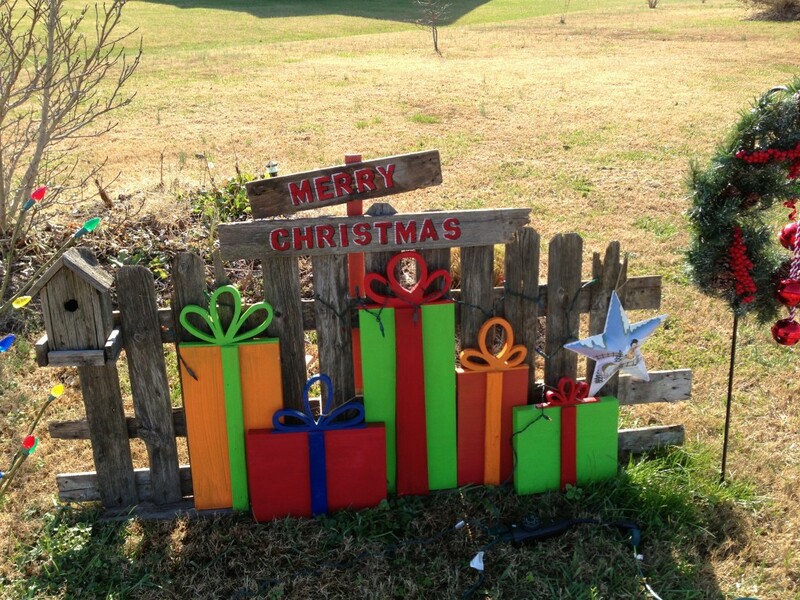 Completed Christmas Yard Art From Recycled Wood! 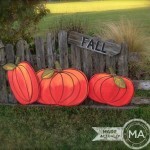 I start out the fall season with pumpkins, then switch out pumpkins for gifts. 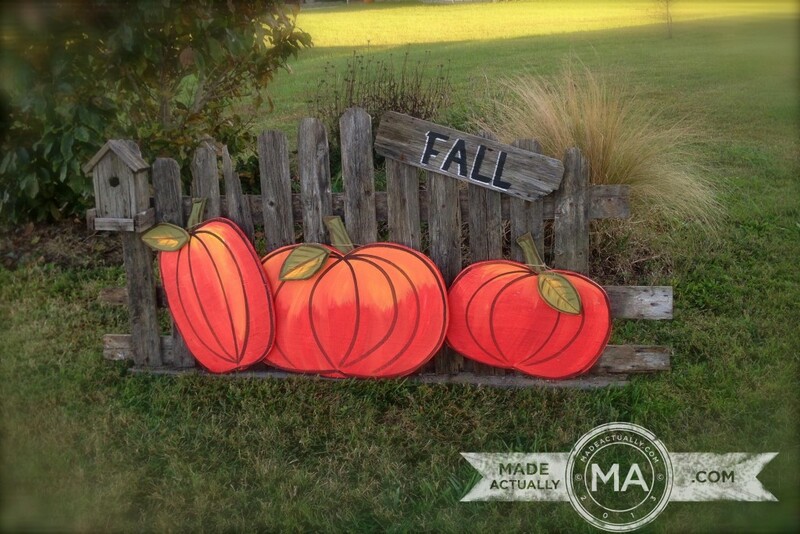 If you haven’t seen that post, you can go to my Fall Pumpkin Display HERE. 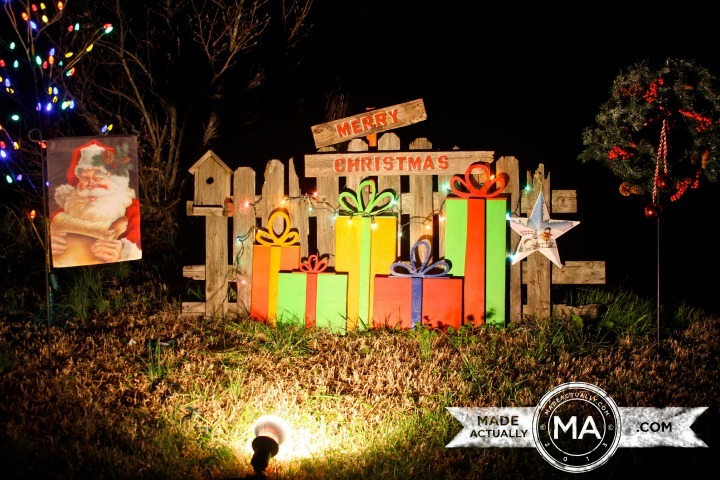 Do you you have any unique Christmas yard art?? 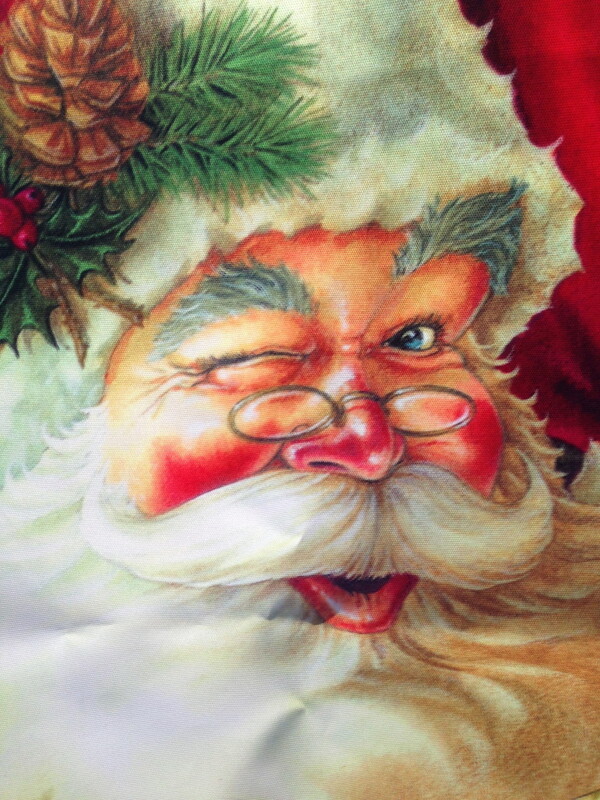 That is the most unique and natural piece of Christmas art I have seen. 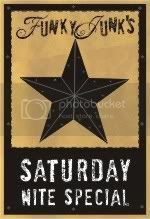 I love your antique stencils. 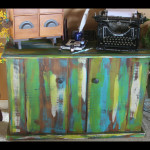 The salvaged wood is an awesome medium. Do you sell these? If not, you know you could! Thanks so much Natalie! You always make me feel so good with your positive comments. No, I don’t sell them, but it certainly is an idea. Might have to be locally because postage would be crazy. I will give that some thought though. 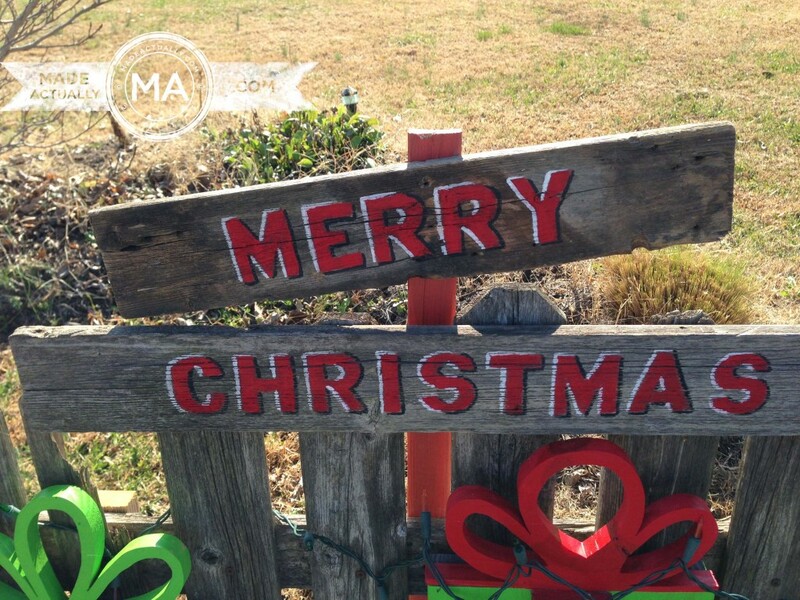 Kristen from The Road to Domestication recently posted…Our Christmas Home Tour! Thanks Kristen! I saw your house and decorations, very tastefully done. 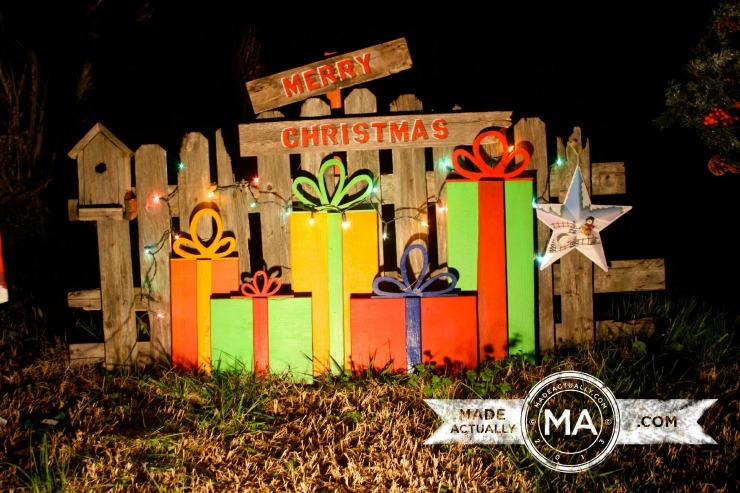 Imagine my excitement when I saw your Thanksgiving ‘Yard Art’ transformed into a Christmas delight! Your neighbors must love driving by to see what you do next. I think the most I’ve gotten (in the past) was hanging ‘ghosts’ from an outside tree at Halloween then ornaments at Christmas time. My neighbors often have fun antique signs, sometimes old time light up ones from old business’ and they have a large old farm cart ?? from a farm stand maybe? they fill it with seasonal decorations. Their yard makes their home look so welcoming. I just love this. You should consider selling if you’re not and really consider consulting to decorate people’s ‘yard with art’ … I’m going to take a picture of my driveway from the street and see what you would recommend? Would you something like that? Wow Kim!!! You are going to make me get a big head! Thank you so much for the compliments, you are too kind. 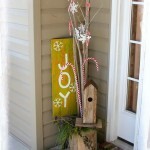 As for decorating outside (or inside for that matter), I’m not one that likes something everyone else has. That’s why I tend to make things myself because I know that everyone can’t go to Wal-Mart and buy the same thing. 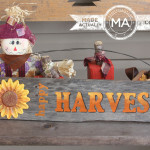 So for your house/driveway, I would be happy to take a look at it, I don’t know if I’d be much help, but would give it a try. I LOVE what you’ve described how your neighbors decorate with the cart and signs. That’s right up my alley (as you have already guessed). These are absolutely incredible. And so professional, that I would actually buy this if I saw this in a store. You did a great job with this. I don’t have any yard art, unfortunately. Well thank you Cherie! A person knows they’ve gotten a compliment when someone will lay out money for something you’ve created. Thanks for the comment and for stopping by. You are so talented! I love it! 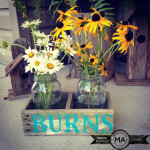 I love how you upcycle and make it look so neat. 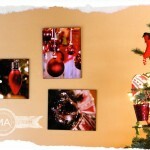 I wish I was your neighbor and you could help me with decorating my house! 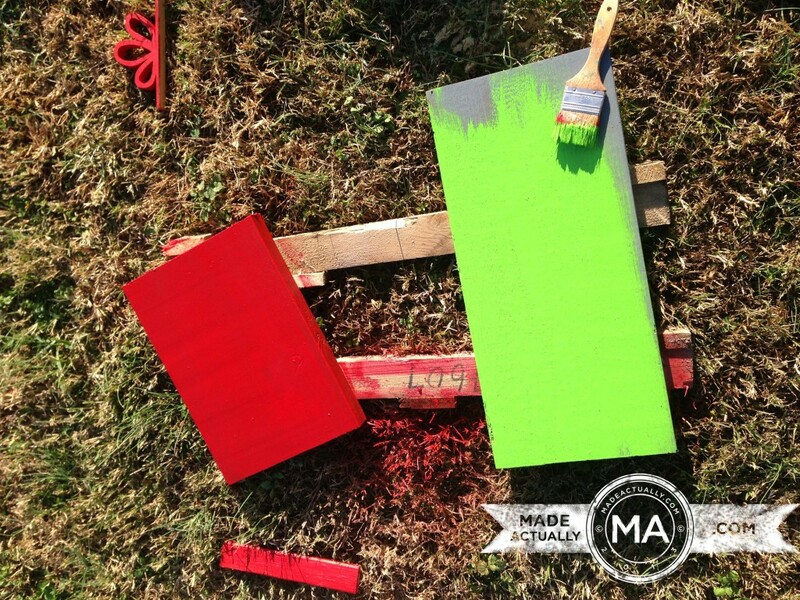 Jill @ Called To Be A Mom recently posted…Free Calendar When You Sign Up For Dr. Suess Books. Aww thank you Jill. It’s pretty fun to take something that is junk to most people and turn it into something neat. Thank you Rebekah, I appreciate your kind words. You mentioned that you don’t have time or money for my projects, well they cost very little, sometimes nothing at all. I do understand that you need tools though. Maybe sometime in the future you will have the tools and time to make one of my projects. Well thank you Cherie, I am honored!